Picking the right international call package can be confusing. Every network provider claims that they’ve got the best and cheapest calling plans. To set the record straight once and for all, we’ve compiled this list of international call packages offered by major call providers in the US. We’ve also added a comparative table to help you choose a calling plan that best suits your need. If you’ve used Viber before, then you’ll know that it only lets you make free calls to Viber users. That’s what Viber Out is for. It lets you call non-Viber numbers around the world at a premium. Call rates vary per country or territory. You can choose to buy pay-as-you-go credits or avail of their unlimited plan for a specific call destination. Pay as you go calling plans usually starts at $4.99 up to $24.99. 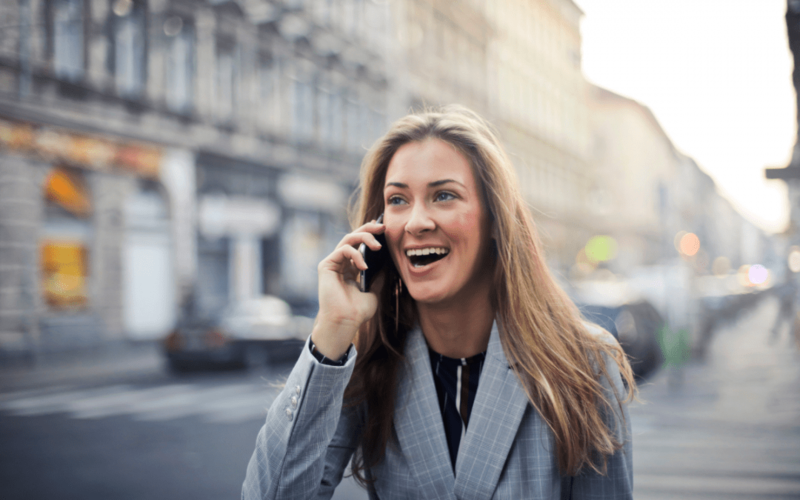 Cost for destination-specific unlimited monthly calling plans depend on the location. All unlimited plans, however, are subject to Viber’s fair use policy. You can buy Viber Out credits within the app or from their website. They accept credit/debit cards and PayPal. Skype is a household name for free audio and video calls. But you have to pay when calling mobile and landline numbers. How much you pay depends on where you’re calling to, not where you’re calling from. Unlimited plans are available for Guam, Puerto Rico, the United States at $2.99 and for China at $6.99. Like Viber Out, its subject to a fair use policy. They also offer pay as you go plans for up to 63 destinations starting at $13.99 per month. If you’re a Verizon subscriber, you can still use your phone to call international numbers even without a calling plan. But it would be charged as a long distance international call which would be more expensive. When you’re making a call from outside the US, Verizon offers two options which you can add to your account. There’s the monthly international travel plan and TravelPass. The monthly international travel plan lets you choose between a $70 and a $130 plan. Each contains different amounts of call, text and data allocations. Calls average about $0.35 per minute. TravelPass, on the other hand, lets you make international calls from your domestic plan at an additional daily rate. A pay-as-you-go option is also available for calls made from countries other than the US. Voice calls can range from $0.99 up to $2.99 a minute depending on the country where the call originated. For calls originating from the US, Verizon offers the International Flat Rate Plan and the International Plan with City Rates. The latter is significantly cheaper than the former with rates ranging from $.10 to $3.29 a minute. AT&T offers both prepaid and postpaid plans for international calling. Prepaid international calls are available in both pay-as-you-go and monthly bundle plans. Standard pay-as-you-go rates are from $0.10 to $4.70 per minute. While monthly plans are available in denominations of $35, $45, $50, $65 and $85 depending on the country you’re calling to. The monthly plan functions as add-ons to your domestic or international mobile plan. This means that you’ll still be charged per minute of calls albeit lower than the usual rates. For postpaid calls, you can choose between AT&T World Connect Advantage or AT&T World Connect Value. They’re are add-ons too so you need to have a postpaid plan to avail of these. The Advantage plan, at a monthly premium of $15 per line, lets you make unlimited calls to Mexico, Canada and to landline numbers in over 70 countries. The Value plan is cheaper at $5 per month per line but only offers discounted rather than unlimited calls. If you’re calling abroad just once and don’t want to avail of these plans, AT&T’s pay-per-use rates range from $3 to $5 a minute. Sprint‘s international call plans comes in four bundles: Open World, International Connect, Cuba 20 Plus and Mexico – Canada Plus. The Open World bundle is Sprint’s pay-as-you-go plan. It’s per minute rates are more expensive than the others but you won’t have to pay any additional fees. For an additional $15 per month, you can avail of the International Connect Plan. It gives you free calls to landline and mobile numbers in 49 countries. While calls to other destinations are at a discounted rate. Both the Mexico – Canada Plus and Cuba 20 Plus plans gives you free calls to Canada and Mexico. As the name suggests, Cuba 20 Plus also gives you an additional 20 minutes of calls to Cuba. The former adds a fixed fee of $5 a month to your phone bill while the latter costs $10. For a fixed monthly charge of $27.99 plus taxes and fees, Vonage lets you make unlimited calls to more than 60 countries. For $54.99, you get that plus 1,000 minutes of calls to other international locations. Per minute rates for other locations not included in the unlimited bundle depend on which plan you availed of. MyLine offers international calls to landline and mobile numbers in over 150 countries. Per minute rates are as low as $0.001 depending on the call destination. Calling plans starts at only $2 up to $20. Unlike most call providers on this list, it doesn’t require you to have a previous plan with them. All you need to do is buy credits and dial the number you want to call. You don’t even have to worry about punching in country codes. It doesn’t have an unlimited plan but you won’t have to pay any other charges either. If you buy a $2 plan, all you need to pay is that amount. Nothing more. Everything is pay-as-you-go so it doesn’t bind you in a contract.